My good friend, Bob, and I have the best time when we get together at his house to watch old concerts of our favorite ’70s bands on the 8 foot-by-16 foot theater screen in the two-story “man cave” that his wife used to call her living room. Of course, we only get to do that when she’s away from the house doing something else. At my house, the TV is a 20-year-old clunker that none of my buddies would ever consider coming over to watch. So I love going over to Bob’s, and I truly enjoy designing and building “man caves” for homeowners with space in the garage or an empty bedroom to transform into a game room/home theater/cigar lounge/wet bar. Your wife — or mine — would probably never share her living room with “the guys”, especially if they want to crank up the sound until you can hear it next door. But she’ll probably be fine with converting the garage to a guys-only retreat furnished with a big-screen TV and a pool table. You can stake out your space on the cheap—by parking the cars in the driveway and gluing down some carpet to cover the oil stains on the garage floor. But if you really want to entertain your pals in your man cave, consider going a little—or a lot—further. I know a guy who knows a guy, for example, who built a “secret” room whose doors are hidden behind bookcases, like in a spy movie. 1. 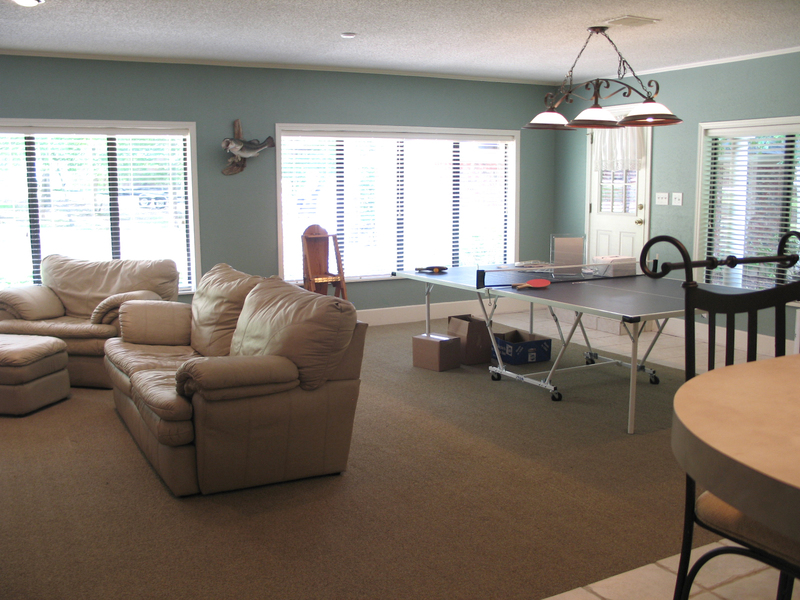 Decide how you want to use the room: as a game room, home gym, a place to play poker, a gathering spot for friends and neighbors to watch the Saints? Make a plan before you call a contractor or a designer so you can explain exactly what you want. 2. Know exactly what kind of furniture and equipment you want in the room before you buy anything. Measure the space to make sure that plush, sectional sofa, an oversized flat-screen TV, a pool table, a card table—or whatever you want—will all fit through the door and fit comfortably in the room. Measure everything, especially electronic equipment like your big-screen TV, before you buy tables or cabinets to store it all on. And consult a TV expert—perhaps at the store where you buy yours—about how big the screen should be for the size of your room. Believe it or not, there is such a thing as a TV that’s too big. 3. Choose a contractor who has a designer on staff or on call. Consulting with a designer who has worked with others on their man caves can greatly expand your options. 4. Make your man cave as big as possible, especially if you’re adding a room onto your house for it. If you think too small, you’ll probably regret it later. 5. Choose durable surfaces like granite counters and commercial-grade carpet so they will hold up under tough treatment. Good carpeting also helps with soundproofing so your cheering won’t disturb the rest of the family. Tough PVC mats under home gym equipment will protect the floor and cut down on noise. 6. Think about both comfort and function. An example: A room that’s cool enough to store your wine collection might be too cold for a poker game. A solution: a wine refrigerator. And if you’re planning to smoke cigars in your man cave, ventilate it. 7. Upgrade the electricity. Any room worthy of the label “man cave” will be home to tons of electronics: stuff like a big TV, surround sound, a computer, a game console and a treadmill. If you plug all of that stuff into a power strip and plug the strip into a single outlet, you’ll probably overload your circuit. An electrician can add capacity in the room, along with extra outlets. While the pro is there, ask for dimmer switches for overhead lights. 8. Make room for refreshments. You’re not going to want to walk to the kitchen every time you need a cold one or a fresh bag of chips. A wet bar with cabinets is a great convenience, but shelves for storing bottles and glasses plus a small refrigerator backed up flat against a mirrored wall are good options, too. 9. If you’re converting your garage or attic, think about adding windows, reinforcing the floor and insulating the walls so you’ll be comfortable in your new man cave year-round. 10. Choose one contractor who can take care of finding the experts like a designer, electrician, a structural engineer if you’re building in the attic, and any other subcontractors you’ll need for the room so you don’t have to spend your time coordinating the renovation yourself. Jeb Breithaupt, B. 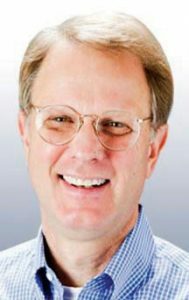 Arch., MBA, has been president of JEB Design/Build in Shreveport since 1983. You can contact him at 318-865-4914 or by visiting www.Jeb.net.